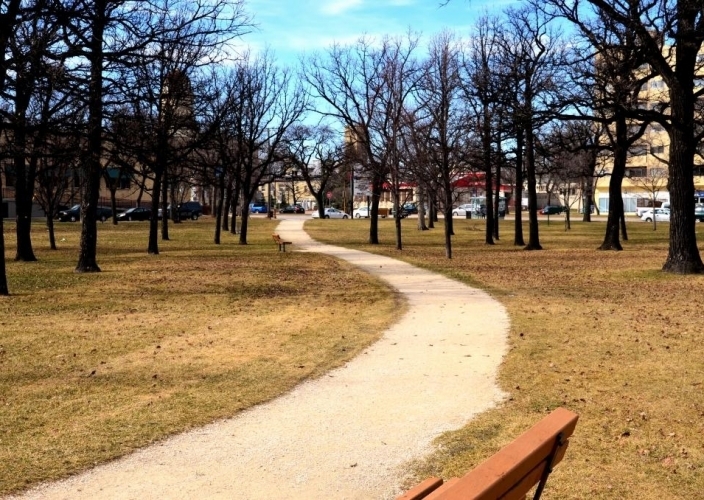 Featuring many century old oak trees, this park is situated on the south side of Provencher Blvd. It was the site of the original St. Boniface College which was almost completely destroyed by fire in 1922 with the loss of 10 lives. The small building which survived the fire is today the home of Radio-Canada CKSB on Langevin St. It was here where the renowned Canadian broadcaster Henri Bergeron began his career.